Join Alma’s LDS Tours on this one of a kind 10 Day Multi-day tour through Southern Mexico and explore with us the possible Book of Mormon locations through the Isthmus of Tehuantepec. Learn from our experts about the links between the Book of Mormon and Mesoamerican history. 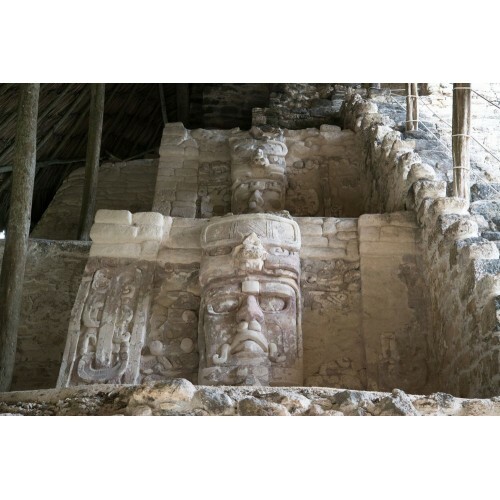 Discover the potential first land of inheritance of Lehi and the Jaredites as we take you to some of the most iconic Mayan and Olmec settlements in Chiapas, Quintana Roo, and Tabasco. Visit cities and landmarks that LDS scholars propose to be the City of Bountiful, Zarahemla and the River of Sidon on this incredible expedition! Join us now! Looking for the best price? Join our next tour dates and pay our group discounted price of $1,980.00 USD Tax Included! Group size average from 12 – 16 People. Arrival Day: Arrival to Cancun International Airport and transport to a hotel in the Riviera Maya to rest and prepare for start of the trip (Enjoy the beach if early arrival) we include the hotel and shuttle to hotel. 2nd Day: Dzibanche and Kohunlich Tour. We will depart from Riviera Maya early after breakfast and head towards Dzibanche (Proposed sight by many LDS Scholars to be Bountiful from the book of Mormon) and Konhunlich Archaeological sites. These sites are embraced by the jungle with wildlife in its surroundings. 3rd Day: Palenque and Misol-Ha Waterfalls Tour. 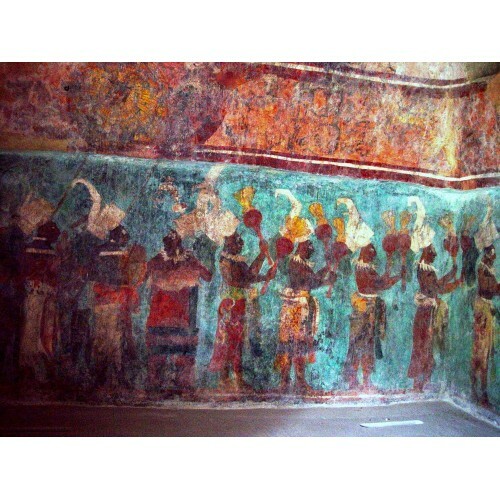 In Palenque, we will see the tomb of Pakal and “And it came to pass” Glyph and more. This is one of the most magnificent sites in all the area! You will be amazed by the view and natural beauties. 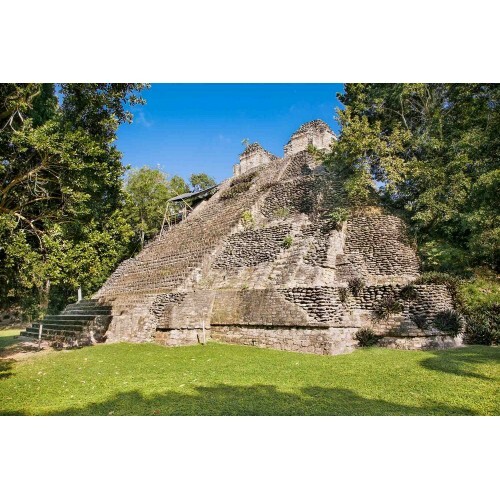 Palenque is surrounded by the forest and mysticism; It is one of the most intriguing archaeological sites in the country, and it is considered as a world heritage site by the UNESCO. While driving into Palenque, travelers see an abandoned city, a city that does not seem ever to have been inhabited by human beings. They see pyramids and plazas covered by wilderness over a thousand years ago. The even treetops embrace the pyramids, which show their moss-covered peaks. 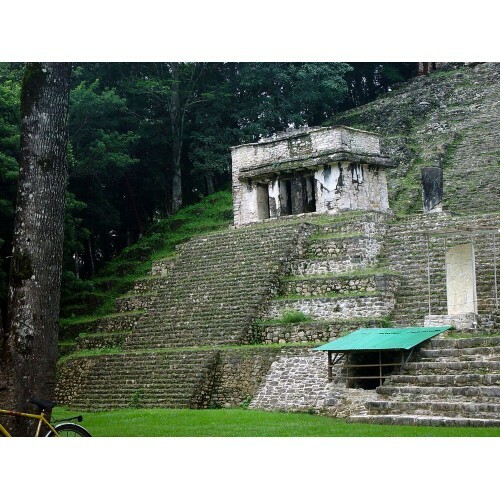 4th Day: Bonampak and Yaxchilan Mayan Ruins Tour. 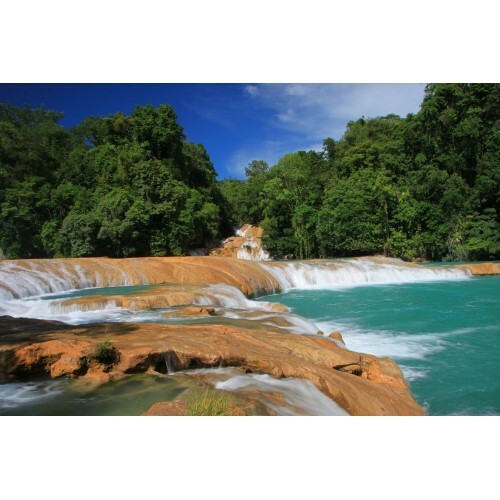 5th Day: Agua Azul Waterfalls and San Cristobal Tour. 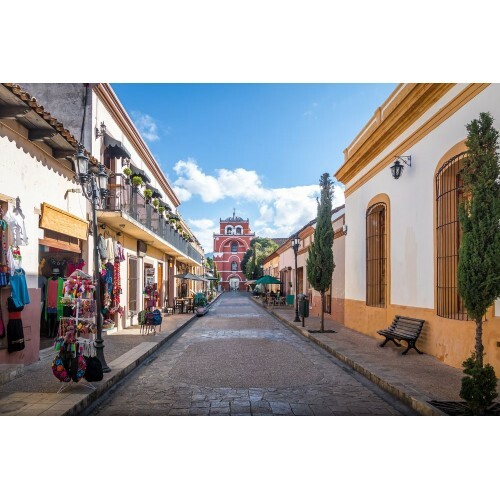 We will experience the natural wonder of one of the most spectacular waterfalls on Mexico, “Agua Azul” arrive at the enchanting city of San Cristobal de las Casas, Visit the downtown and tour the Jade and Ambar Museum. 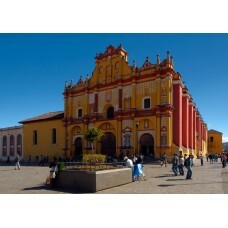 We will spend the night in San Cristobal de las Casas French-Spanish colonial town. Visit the Downtown, Jade museum, and Ambar Museum. Free time to enjoy the beautiful downtown of San Cristobal de las Casas. 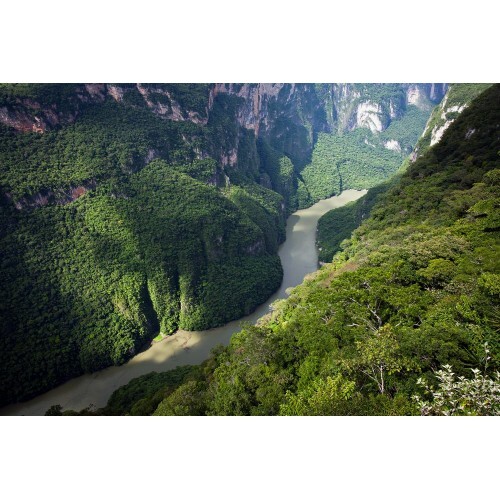 6th Day: Sumidero Grand Canyon and Tuxtla LDS Temple. 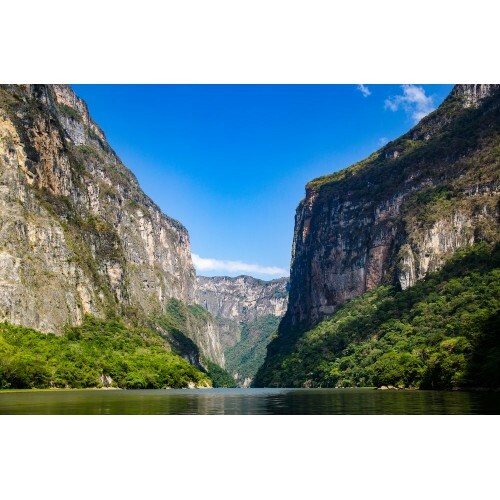 We will enjoy a Boat tour through magnificent “Sumidero”, Mexico’s Grand Canyon but with water created out of erosion of over thousands of years. We will enjoy a lunch at a famous local Mexican Restaurant in the capital city of Tuxtla Gutierrez and visit the LDS Temple of the region. 7th Day: Izapa Mayan Ruins and Stella #5 “Tree of Life”. On this day we will visit the proposed "First Land of Inheritance" of Lehi which has been declared by many LDS Scholar due to the location and a fascinating 8-foot tall Stone monument located near the city of Izapa, which depicts a family approaching a large tree with long roots. On this day we will depart early and enjoy a fascinating tour with our experts and learn about the fascinating theories of Lehi's Arrival to our continent. 8th Day: La Venta Olmec Museum. Early morning departure to our next location, Villahermosa, where we will enjoy the history of the Olmec culture who are compared to the Jaredites. We will visit the Museum where the primary findings of this ancient civilization are preserved. 9th Day: Travel Day back to the Riviera Maya. Departure back to the peninsula of Yucatan for departure the next day. Arrive at the Riviera Maya with time to enjoy the Downtown 5th Avenue. Lodging in 3-4star hotels with Wi-Fi Internet access included (If available in the area) Breakfast, Lunch and Dinner included on all days except for arrival and departure days.